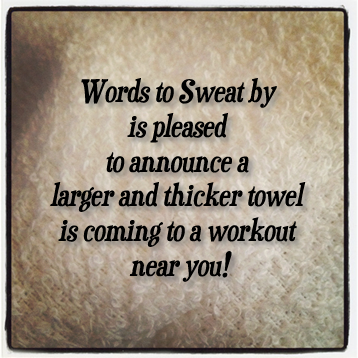 Larger, Thicker Towel Lets You Get Even Sweatier! Not only have we launched a new line of inspirational jewelry this Fall, but we’re also putting more muscle into your workout towel! Starting next week , the entire mantra workout towel collection will be offered on a larger (17″ x 26″), thicker towel with only a slight increase in price to $10.95 per towel. These new towels are ready to take on your sweatiest workouts. And here’s a quick towel tip: Don’t forget to wash it before use!